Alpha Chi Rho members belong to an unsanctioned student organization. 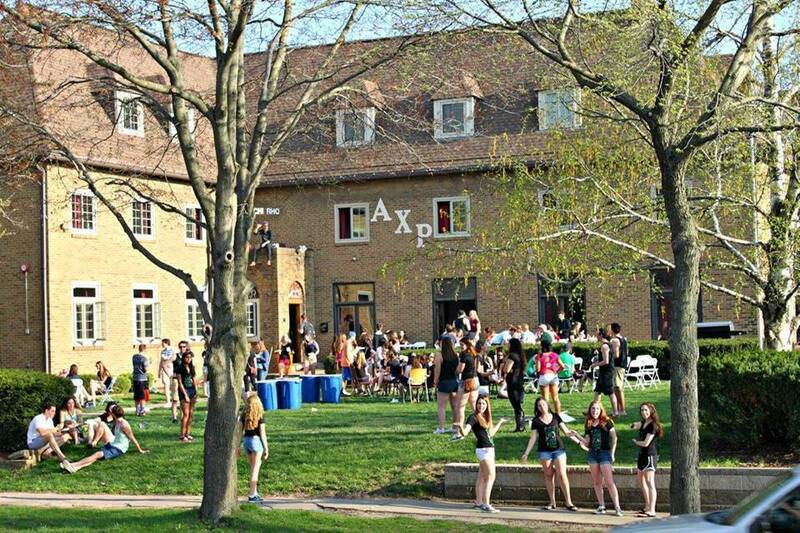 In fall of 2013, a student fell off the fire escape of the Alpha Chi Rho Fraternity’s chapter house during a party. The incident resulted the University’s board of fraternity affairs revoking Alpha Chi Rho’s recognition as a student organization on campus. However, in just a few weeks, Alpha Chi Rho will be allowed to petition to the board of fraternity affairs to be reinstated as a student organization. They are allowed to apply anytime after March 15. President of Alpha Chi Rho Alejandro González, junior in AHS, said chapter members are preparing for reapplication. “I think that we will apply at a later date, possibly next Fall or even next Spring, but we wanna make sure we have the best chance possible getting recognized again before we re-apply,” González said. Alpha Chi Rho is coming off three years of not being recognized, and they are not alone. Five houses on campus are currently revoked of recognition. Three chapters, Alpha Tau Omega, Delta Sigma Phi and Phi Beta Sigma, are currently recognized under restrictions and conditions, but their revocation has an expiration date. Alpha Chi Rho’s removal does not. There are five formal sanction options when any student organization, including fraternities and sororities, is found responsible for a violation of the student code: University reprimand, University censure, conduct probation, suspension and revocation. About two-thirds of the fraternities and sororities on campus are also private certified housing. Alpha Chi Rho is not one of them. Fraternities and sororities can apply to be considered private certified housings. If approved, the houses must meet a set of standards that they are expected to abide by. The national Alpha Chi Rho organization still recognizes the chapter, even though they have no relationship with the University. “We would much prefer to have to be on the same page with the national organization when something significant happens that results in revocation of recognition by the University,” Dye said. González said that the house is trying to function as normally as possible because of their recognition by the national Alpha Chi Rho organization. “It’s kinda hard to know where certain lines are because we don’t receive any guidance from the Interfraternity Conference or other departments of the University,” González said. The University has no control over unrecognized chapters, including monitoring such matters as initiating new members. “They can do that, but we believe that students, parents and others should be informed that this is an organization that is not recognized by the university,” Dye said. González said Alpha Chi Rho is still initiating new members, though the revocation may have put a dent on their initiation process. Among other active houses revoked of recognition or whose status is on hold, Delta Sigma Phi declined to comment. Both Alpha Tau Omega and Phi Beta Sigma did not respond.